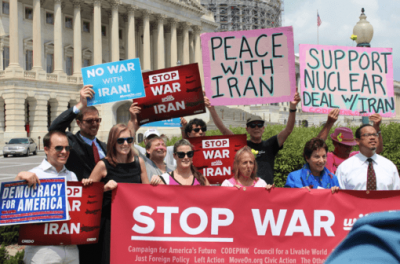 If launched, war on Iran could threaten world peace more than any other post-9/11 conflict. The Islamic Republic is far stronger militarily than Iraq, Libya or Syria. Iranian missiles with destructive warheads can hit Israeli targets, as well as US regional ones. In early 2017, senior Iranian official Mojtaba Zonour, a National Security and Foreign Policy Commission member, warned Tehran would retaliate swiftly if its territory is struck – able to hit regional targets with destructive force in minutes. “(O)nly seven minutes is needed for (an) Iranian missile to hit Tel Aviv,” he said. Bush/Cheney neocons prepared war plans to attack Iran, updated over time, not implemented so far. US/Israeli anti-Iran covert operations have been ongoing for years. In early 2008, Bush signed a secret finding, complicit with Israel, authorizing an unprecedented in scope covert offensive against the Islamic Republic. It included targeted assassinations, funding opposition groups, destabilizing the Islamic Republic, Syria and Lebanon, as well as preparing for war on Iran not launched so far. What’s going on now is cause for great concern, including Israeli and US strikes on Syrian sites, escalating war in the country, provoking Iran to respond militarily, Netanyahu’s anti-Iran Monday bluster, Trump likely heading toward pulling out of the JCPOA next week, followed by reimposition of US nuclear-related sanctions on the Islamic Republic, prompting its resumption of pre-JCPOA nuclear activities – perhaps used by Washington and Israel as a pretext for launching hostile actions against the country. On Tuesday, NBC News cited three unnamed US officials, saying Israeli warplanes struck Syrian military sites near Hama and Aleppo last weekend. “On the list of the potentials for most likely live hostility around the world, the battle between Israel and Iran in Syria is at the top of the list right now,” one senior US official was quoted saying. “US officials believe (Iran supplying Syria with weapons and munitions is) meant both to shore up Iranian ground forces and to strike at Israel” is utter nonsense. Iran threatens no other countries. Claims otherwise are bald-faced lies, heightening regional tensions, risking greater conflict than already. On Monday, US war secretary Mattis spoke to Avigdor Lieberman in Washington, his Israeli counterpart – Syria and Iran the focus of discussions. “The Iranian forces…or the proxy forces have tried to get down closer to the Israeli border, I mean very close to it, and you’ve seen Israel take action over that,” Mattis belligerently claimed. Iranian military advisors are helping Syrian forces combat US/Israeli-supported terrorists, not preparing to attack Israel cross-border – a US and Israeli specialty, not anything Iran or Syria intend. Washington and Israel are at war on Syria without formally declaring it. Days earlier, CENTCOM chief General Joseph Votel met with IDF chief of staff General Gadi Eizenkot and Israeli intelligence officials days discussing Syria and Iran. Netanyahu’s Monday theatrical presentation on Iran was an exercise in deception, bald-faced lies, bravado without substance. His “Iran files” weren’t secretly stolen from a Tehran warehouse, as he falsely claimed. 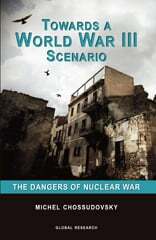 Material was largely old news well-known to the IAEA, repackaged to appear damning – no experts fooled. Netanyahu is a serial liar, clear to anyone following his earlier antics. Nothing he says is credible. Sovereign independent Iran is Israel’s main regional rival, why Washington and the Jewish state are hellbent to replace its government with pro-Western puppet rule. Strategy involves regime change in Syria, isolating Iran, followed by a similar strategy to topple its government. Things seem headed for something much more serious than already. Escalated regional conflicts could spark confrontation between the world’s dominant nuclear powers. All bets are off if it happens.